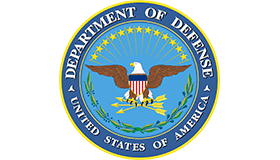 Part of the Department of Defense, the Defense Media Activity (DMA) is the direct line of communication to U.S. forces worldwide, offering news, information, and entertainment across many platforms. One of its vital programs, the Public Web, provides web hosting and content management services for more then 750 military websites around the globe. The DMA's goal is to expand and increase the capability of the Public Web program for the Department of Defense. In September 2014, leadership realized it would never attain that goal with its current system. There were issues and limitations with its help desk and a complete lack of integration with the IT operations and development teams. It needed to find a single solution that would address those issues. The DMA implemented Jira Software, Jira Service Desk, and Confluence to help tear down stovepipes, open communication lines, improve synergy, and move DMA to a customer- and performance-focused operation. With Atlassian, DMA CIO Les Benito was able to transform the Public Web program’s service desk within five weeks, under stringent security requirements. The new system has increased IT productivity by 39% and customer satisfaction by 10%, at the same time boosting internal collaboration. "The difference is amazing, and our productivity has skyrocketed. Everything now can be visualized, racked, and stacked, and I know what everyone is working on at a glance," says Benito. To learn more about how the Defense Media Agency transformed its web service with Jira and Jira Service Desk, watch Leslie Benito's Atlassian 2015 Summit presentation.